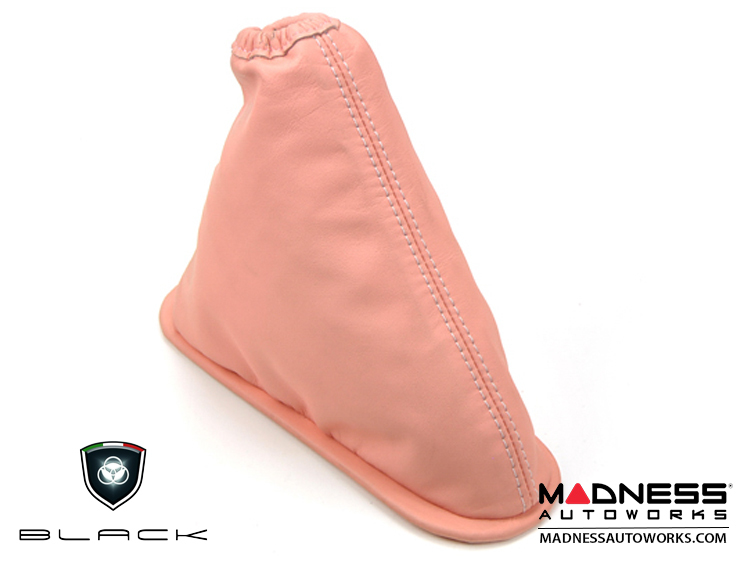 Add the Italian Touch to the interior of your FIAT 500 with this Genuine Italian Leather eBrake Boot. We have been installing these boots on customer cars and also our own for years. We can honestly say that the products from Black Italy are truly Top of the Line and a great value for someone who wants the very best of interior accessories for their FIAT. Installation is simple and the results are fantastic! Check out the "How to" Video section on our website on how to install this and other BLACK accessories. BLACK is an Italian Brand of high quality, trendy, luxury car accessories that are focused on giving prestige and charm to the FIAT 500. The products are designed and manufactured in Italy to the highest standards and are designed to be the perfect fit for your new FIAT 500. These are not generic, one size all parts. The items from BLACK are specifically designed by artisans of Veneto, Valenza and Vicenza, Italy and are hand assembled for a precise fit and a look beyond compare. BLACK entered the market with a new style of accessories for luxury cars. Founded in Turin by Stefano Furlan, a former manager of MOMO with a long list of accomplishments in the car accessory marketplace. Stefano also actively contributed to the revival of the ABARTH Brand by working directly with the team at FIAT. 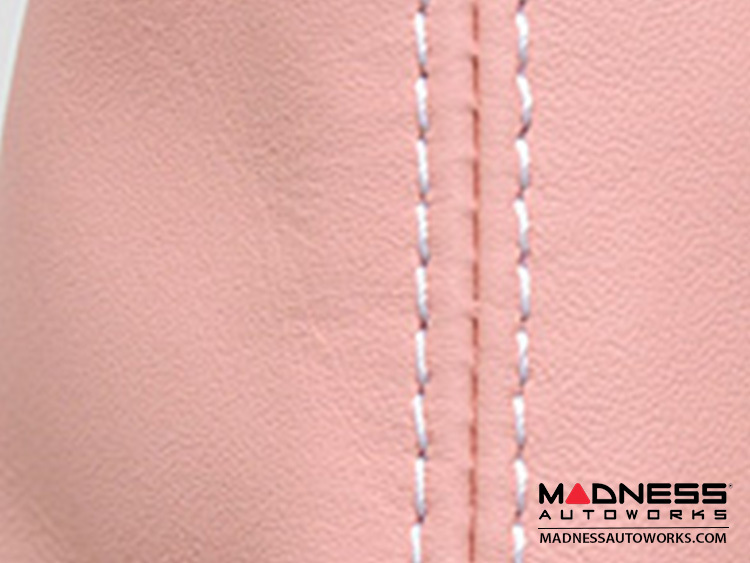 Coupling technical materials such as ultra modern design with traditional materials allows BLACK to offer a line of stylish and fine quality accessories of great to the public that wants to customize their car. Think of full grain leathers perfectly tanned, waxed wood, gold and etc. Materials that are enhanced with use without ever appearing "worn out". Materials prepared in Italy (by Venetian craftsmen of the leather and by goldsmiths of Valenza and Vicenza) and assembled by hand.